Watch for a regular Meetup! 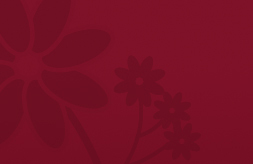 Join and network with the next generation of international women married to Koreans. from the ordinary and usual routines. Description Let's try dinner this time:) Let's have the husbands come if they're willing and able! I'm not even sure I could get mine there but I'll ask. To get there, get off at Jonggak Station on subway line 1. Walk straight ahead from exit 4 and turn right into the alleyway next to Dunkin Donuts. At the first intersection take a left, walk past a few stores and you will find Coco Ichi Banya's yellow-and-gray facade on your left, facing a Family Mart convenience store. Also, let's try a morning time because a few members mentioned that this is better for them. Our past 2 meet-ups have all been in Jung-gu, downtown Seoul, so let's try another area! To get to the Gangnam location, take Subway Line 2; get off at Gangnam Station and take Exit 7. Walk straight ahead & Coffee Bean should be on the right. We can meet here for next month (after Chuseok) and if anyone has any creative ideas about where to meet for the month after, we can discuss. Also please bring thoughts and ideas for what you would like to get out of ISKA as we'd like to see it become more active and available to all members. Here's an opportunity for international, intercultural women to make friends and network in Busan. Let's take a break from our mundane preoccupation of daily life. Let's talk over a cup of coffee on the things that really matter. Warm greetings!  We hope that you and your family are doing well this season. 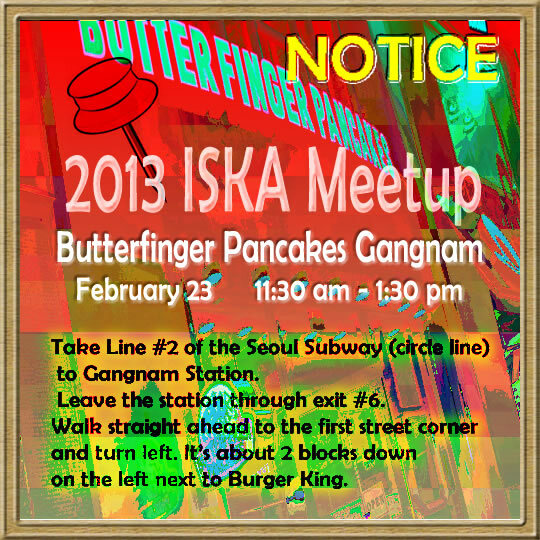 It's been a while since the last time ISKA Family got together, so we are organizing a meeting in Seoul. This is not only for those who are in Seoul, but also those who live in nearby areas and for anyone who can travel to Seoul and meet up with like-minded women. We hope that this is an opportunity for us to know each other. We would love to meet both old-timers and newcomers! How to get there: Please contact ISKA's new Seoul outreach coordinator. To event organizers, please submit your events to ISKA Online.